Pharmaceutical costs, especially those for brand name, maintenance drugs, have been a primary driver of health costs and, in turn, health insurance costs, for well over a decade. Interestingly, the costs for these drugs vary widely around the world and are on average 44% higher in the United States than elsewhere. That's 44%! Countries with centralized, single-payer health systems are able to negotiate lower prices for drugs than are the myriad of insurance companies in the US. However, the lost revenue from lower prices paid by the single-payer countries is simply shifted to payers in the US. Effectively, the US is subsidizing the research and development ventures of the drug companies more than their single-payer counterparts. Given free markets, this is not a sustainable business model. As pharmaceutical costs have risen, more and more Americans have begun sourcing their brand name, maintenance medications from countries enjoying the lower price structures. As Americans, we have the right to source legitimate prescriptions, for personal use only, from whatever country we choose. The employer pays the lowest price available in Tier 1* countries, usually a savings of 35% to 55%. The employee no longer is responsible for the co-pay. This can be a significant savings for a family with multiple co-pays on brand name maintenance meds. The remainder of this article will discuss what is involved in implementing one of these plans, including Prospective Accounts, Products and Pricing, PIM Company Analysis, Projected Savings, Future Implications and Legal Substantiation. Only self-funded, ASO (administrative service only) groups are allowed to participate and employees can only participate on a voluntary basis. Fully insured groups are ineligible. The reason ASO groups are eligible is because they are acting as individuals. That is, with no underlying true insurance on the group and participation only on a voluntary basis participants are legally acting as individuals. This is discussed in more detail within the links under "legal substantiation." Generally, group size should be 100+ employees. Older employees consume more maintenance drugs, thus increasing participation. Ideally, an older employee population is better. Employee communication is paramount to the success of the program. Employees need to be assured that the imported drugs are authentic and will be delivered reliably. Most groups experience about 30% participation initially, growing to 60%+ within a few years. Narcotics. Scripts such as Valium, etc may be prone to theft. Drugs not specifically approved by the FDA for use in the US. Many drugs are approved for use in other countries but not the US. Such drugs may be available for importation but their availability 'muddies the water' for both the FDA and the IPP. There are no long-established players in this market because it is so new. There are a number of firms which have targeted the individual market for over a decade, but the ASO market is just beginning to develop. No doubt, these plans are 'pushing the envelope' with the pharmaceutical manufacturers and regulatory bodies, but their objections appear to be negated by various pieces of legislation; points of law and precedent (see 'Legal Substantiation'). Look for an IPP's ability to source meds from the top 4 Tier 1 countries: Canada, United Kingdom, New Zealand and Australia. Prices vary from country to country and you need to provide the lowest possible cost. As noted above, it is not advisable to contract with companies who also provide narcotics via overseas sources, even if these narcotics are legal and legitimate. They are a target of criminals which you need to avoid. Another critical need is top notch customer service. Although the importation of scripts is legal for personal consumption, occasionally US Customs will intercept a 90 day supply and deem it not for personal consumption since it is for more than 30 days. IPP's which have addressed the individual market have the most experience at sourcing and distributing the meds, but very few have long term experience list-billing the client company and providing superior customer service in the HR arena. The best bet is to look for an IPP which has been in business the longest, has the widest possible formulary of non-narcotic maintenance meds and the administrative resources to make the program simple and successful. Savings to an employer will depend upon the number of employees, the use of brand name maintenance medications and participation in the program. For example, Schnectady County (NY) projects an annual savings of $1.3 million + for their 2,300 employees in 2010 after 6 years of offering the program, an average savings of $565 per employee. Muncie (IN) is saving $586K per year on their 750 employees, an average of $780 per employee. How much can any individual employer expect to save? It depends, but contact me and I will share an Excel spreadsheet which will estimate the savings. A utilization report from the current plan administrator will give the most accurate projections. This may well be a temporary industry. That is, once a significant amount of meds are purchased overseas, the pharmaceutical manufacturers will adjust prices globally to address the imbalances, rendering IPPs unnecessary. However, for the next several years this is an excellent option to show prospects which other brokers may not even be aware of. Is this legal? The regulators and legislators have been intentionally vague on the subject. I am not an attorney and will simply use links to give readers an overview of legislation, points of law and precedents. Seniors living in the United States along the Canadian border have sourced their scripts from Canada for years. Brokers and human resource managers should consult their attorneys regarding their individual situations. Joe Morris is the attorney for a leading PIM. Mr. Morris was Assistant Attorney General under President Reagan and a lead negotiator for the United States with NAFTA, the North American Free Trade Agreement. His opinion is that pharmaceutical importation, on an individual basis and with a legitimate prescription, is protected by NAFTA. The FDA has not disagreed. Mr. Morris, interestingly, has recently served as Hearing Officer in Rham Emmanuel's residency hearing regarding his eligibility to run for mayor of Chicago. An April 2004 statement by William Hubbard, Associate Commissioner for Policy and Planning for the FDA is here. These statements were prepared for the Senate Committee on Finance, subcommittee on Health Care and International Trade. 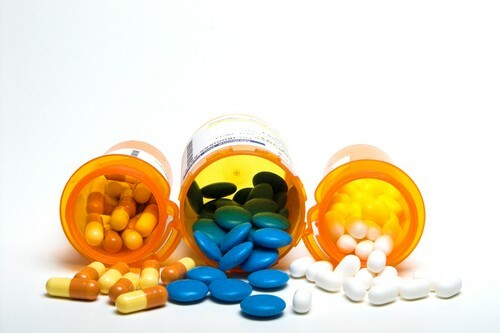 The Council of State Governments issued a report, Prescription Drug Importation, in 2004, in response to inquiries from state and local governments. WebMD researched the subject in an article The Letter (and Spirit) of Drug Import Laws. Pharmaceutical importation can be a powerful tool in the effort to reduce health care costs in self-funded, ASO health plans. Though the legality has been questioned, the regulators and legislators have opted not to pursue the matter and there is a 'deafening silence' from the courts on the issue. Until conclusive decisions are handed down from DC, these programs are a terrific way of opening doors to new accounts and allowing employer's immediate savings on their pharmaceutical utilization. J.J Summerell manages Worksite Insight, a benefits communications and enrollment firm in Greensboro, NC. An independent general agency, Worksite Insight markets exclusively through brokers and agents. Worksite Insight also owns Easy Benefit Statements, LLC, a software product sold to benefits brokers and human resource departments. Past President of the Greensboro Association of Insurance and Financial Advisors, Summerell currently serves on the Board of Directors of the Greensboro Society of Financial Service Professionals. Mr. Summerell earned his Masters in Business Administration from Wake Forest University and has industry awards include the Frederick W. Joyner Distinguished Service Award, the W.H. Andrews Member of the Year award, qualification for the Leading Producers Round Table and Golden Eagle awards.